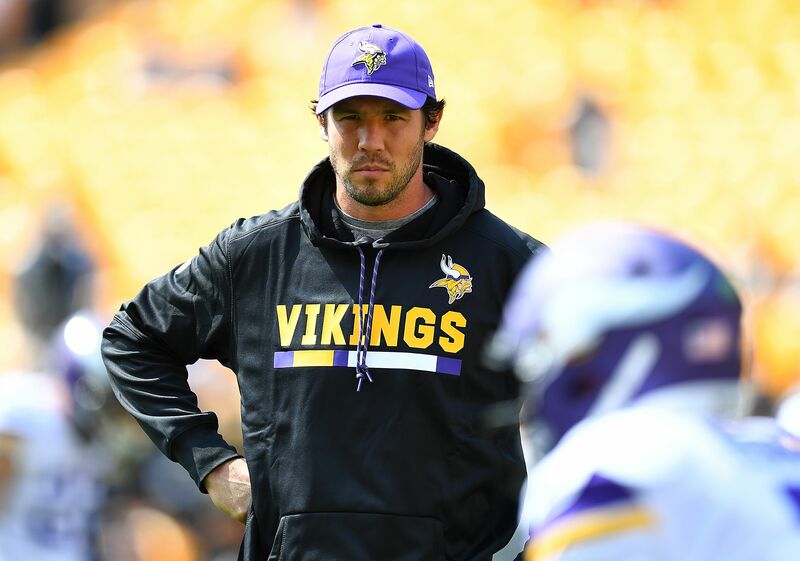 The knee injury that kept Minnesota Vikings starting quarterback Sam Bradford out of Week 2’s loss against the Pittsburgh Steelers was a non-contact one. After beating the New Orleans Saints on Monday Night Football in Week 1, 29-19, the Minnesota Vikings felt pretty good about their chances to upset the Pittsburgh Steelers on the road in Week 2. Vikings quarterback Sam Bradford might have played the best game of his career. However, he was unavailable in Week 2 due to a knee injury he suffered in primetime in Week 1. Bradford would mention to the media on Wednesday that it was a non-contact injury that kept him out Week 2 versus the Steelers. Pittsburgh thrashed Minnesota 26-9 with Case Keenum starting in place of Bradford. He would get an MRI in the week leading up to the Steelers game. While he was initially expected to play, it would be Keenum that got the start over Bradford. After what happened to Teddy Bridgewater a little more than a year ago, Minnesota doesn’t have the luxury to disregard even the slightest of knee injuries. Minnesota traded its 2017 first-round pick to the Philadelphia Eagles to acquire Bradford in a trade after Bridgewater went down for the foreseeable future. Bradford helped guide the Vikings to a 5-0 start in 2016. However, Minnesota would finish the season on 3-8 run post bye to finish at 8-8 on the year. With Bradford under center, Minnesota can make it back to the NFC playoffs. The defense is that good and Bradford is one of the most accurate passers in all of football. That being said, he does have an injury-riddled past, particularly with his knees. Let’s keep an eye on this one, as it is a non-contract injury.